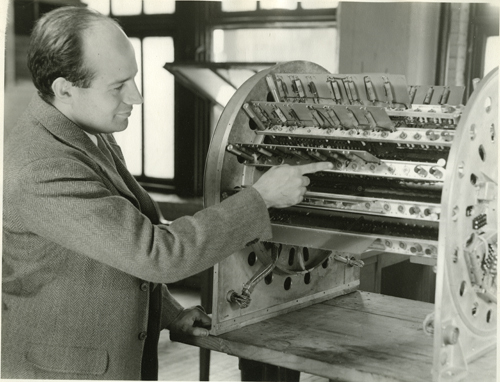 This is a black and white image of J. Presper Eckert in front of a BINAC memory unit. He is pointing to the unit with his right hand. The BINAC memory unit resembles a drum like device with cards. Light is coming in from the windows in the background. Written in pencil on small white round label on original protective sleeve is "1255-1".